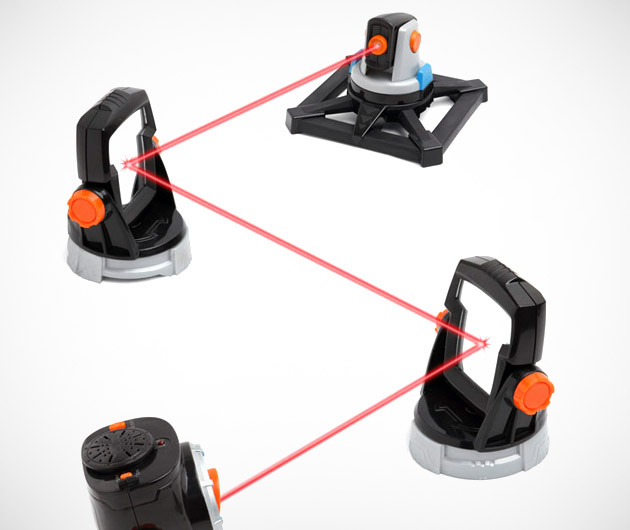 Whether you want to practice your Entrapment break-ins or just secure your own toys, the SpyNet Laser Trip Wire is the most fun way to do it. An actual class 1 laser system, the SpyNet Laser Trip Wire sets up a silent red beam of light between entryways you want to guard. Just like in the movies: cross it, and everyone will know.